That's right, I'm talking to you. 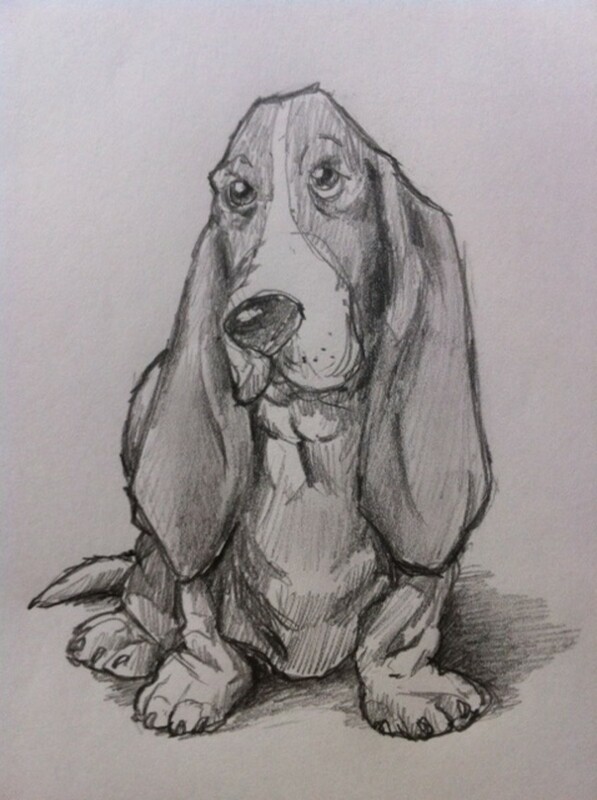 I have been teaching people to draw and paint for over 40 years and I know that even those who think they have no artistic talent actually have some. Most times, this talent is just buried a bit deeper and is not as easily accessible. 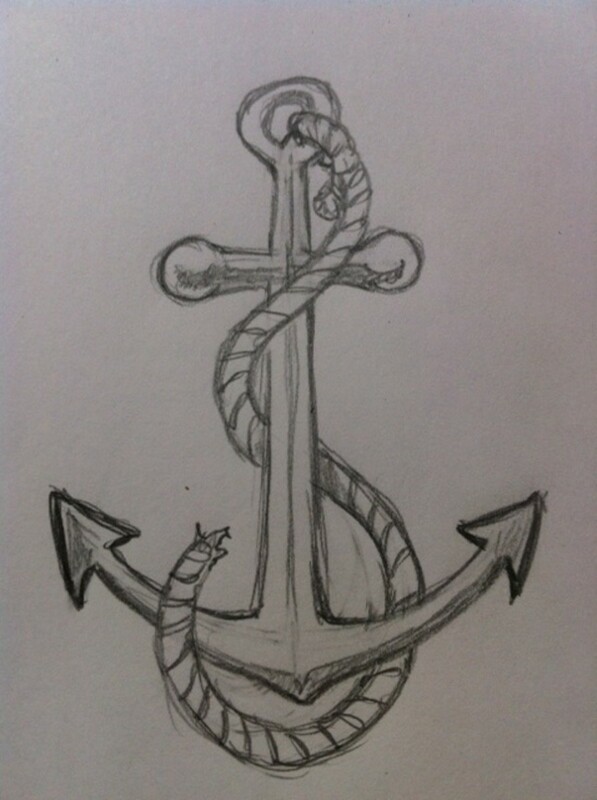 I really believe that anyone can be taught to draw. The reason I believe this is because I have actually taught people to draw — people who may have thought like you, who thought they had no talent. So, stop making excuses and just give this tutorial a chance — you never know, you may surprise yourself. 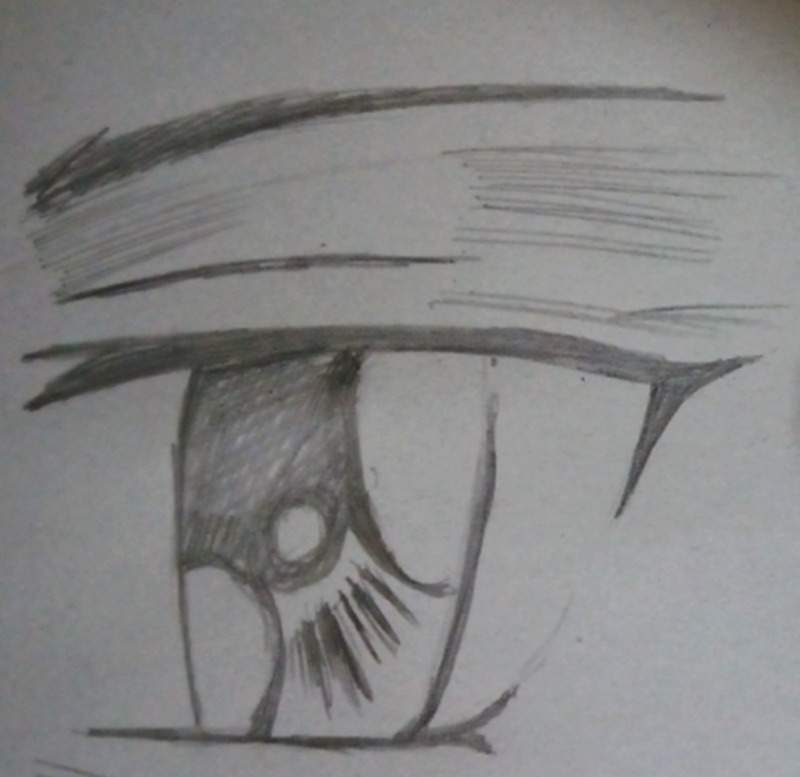 And for those folks who read this far and think there is no valid reason to learn to draw, let me tell you something: Drawing is perceived as almost magical by most everyone. My own personal destiny was changed by a person who could not draw. On every envelope of every letter I received from my grandfather was a crudely drawn cat. It was made up of two circles and a few lines. I looked forward to those letters and knew I must be special to this man because he learned to draw one thing just for me. Those crudely drawn cats also made me want to learn to draw. Today, I make my living as an artist. 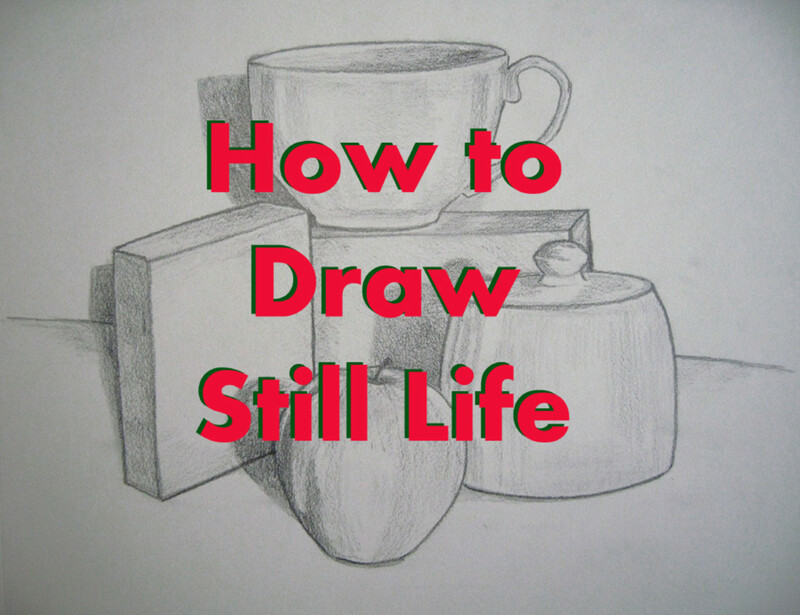 What is your reason for learning to draw — or not draw? If you take a bit of time and put some effort into this, who knows where it might lead or whose destiny it may affect? So, if you have your pencil and paper ready, let's begin. If you have tried one of the many other drawing tutorials I've created, you know that we always start every drawing with basic shapes. This drawing is no different. Draw a sort of slightly curved rectangular shape with a rounded end on the top. 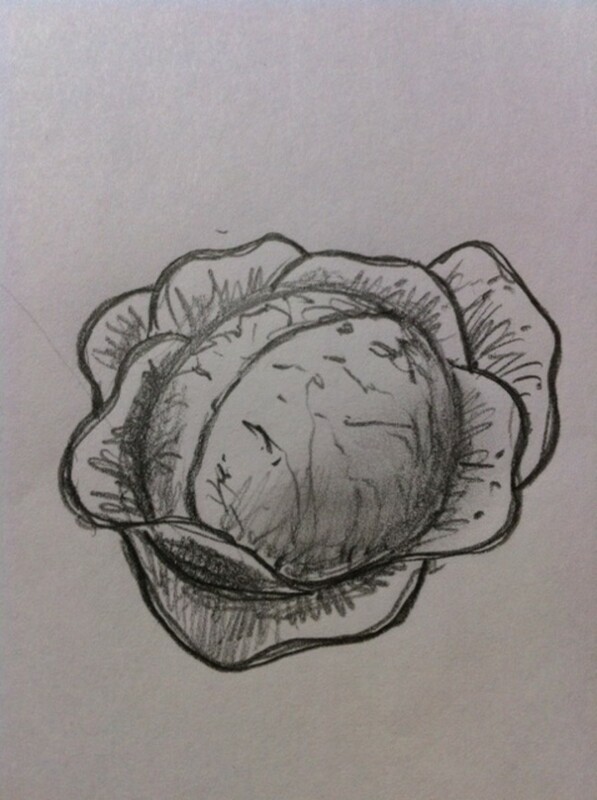 Next, draw a smaller oval shape on the top of the first shape as shown. Hey, every scientist I know — and I know a lot of them — has glasses. 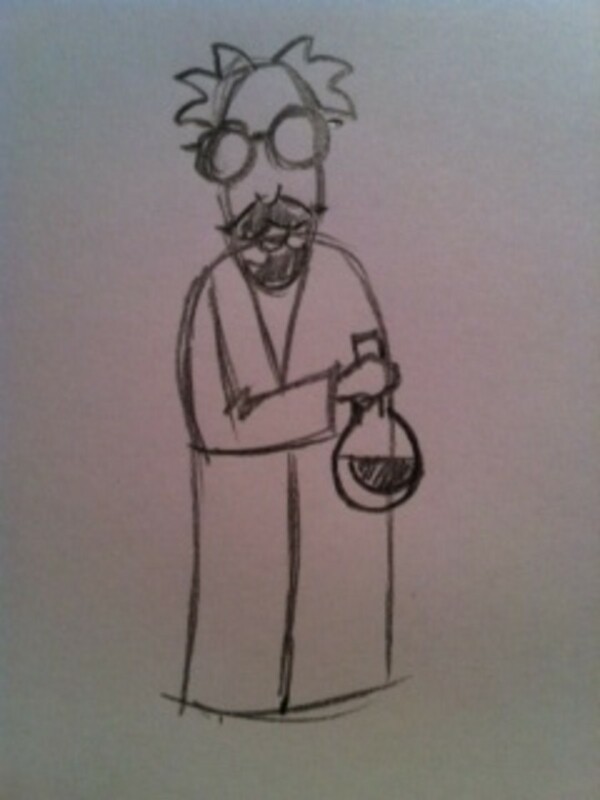 So for our scientist, let's add glasses. These are simply two circles with a small line on either side and one in the middle connecting the two circles. 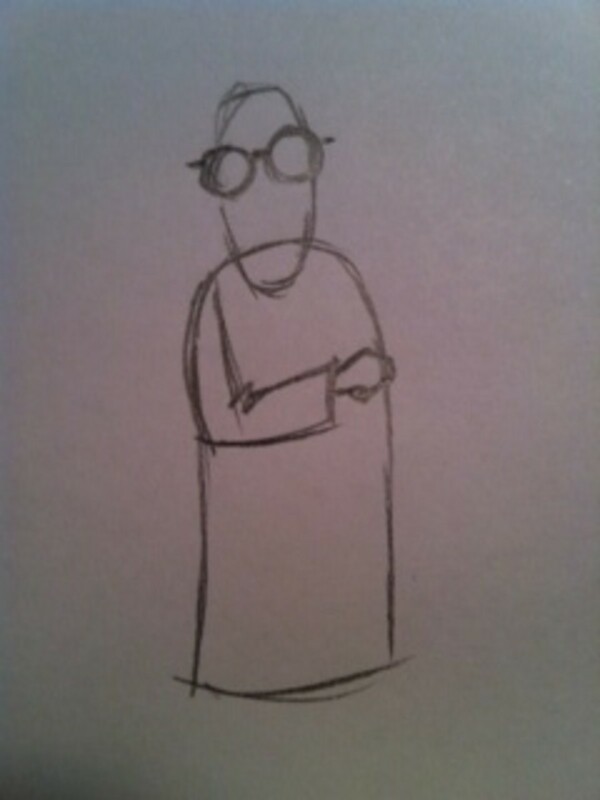 By drawing these two simple shapes and three lines, you have just given your scientist a set of horn-rimmed glasses. OK, so let's give our scientist an arm. 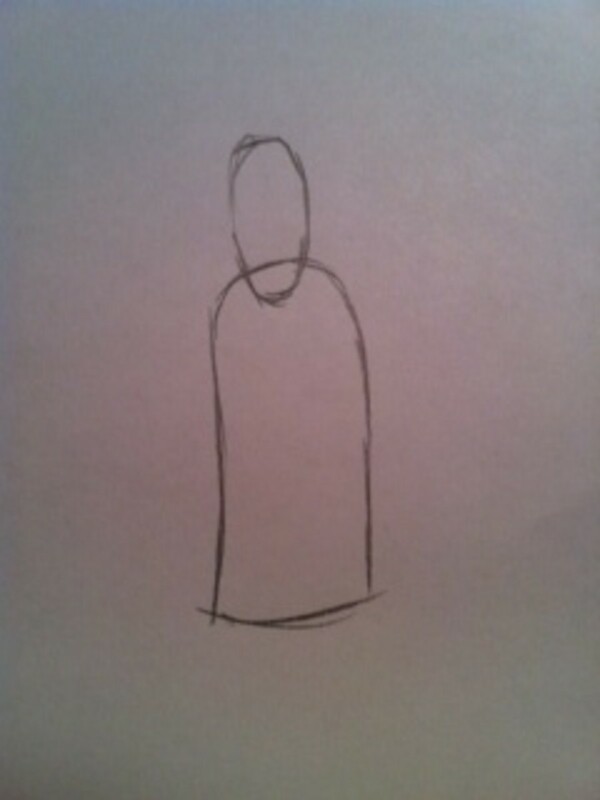 For this drawing, we're just going to show the one arm in front, the other will be positioned behind his back. To draw this arm, simply draw a two lines shaped like the letter "L."
To draw the hand on the end of the arm, just think of a circle and a few lines - these are the basic shapes which make up the hand. Every scientist has to have a beaker or a test tube. For our scientist, we're going to draw a round beaker. 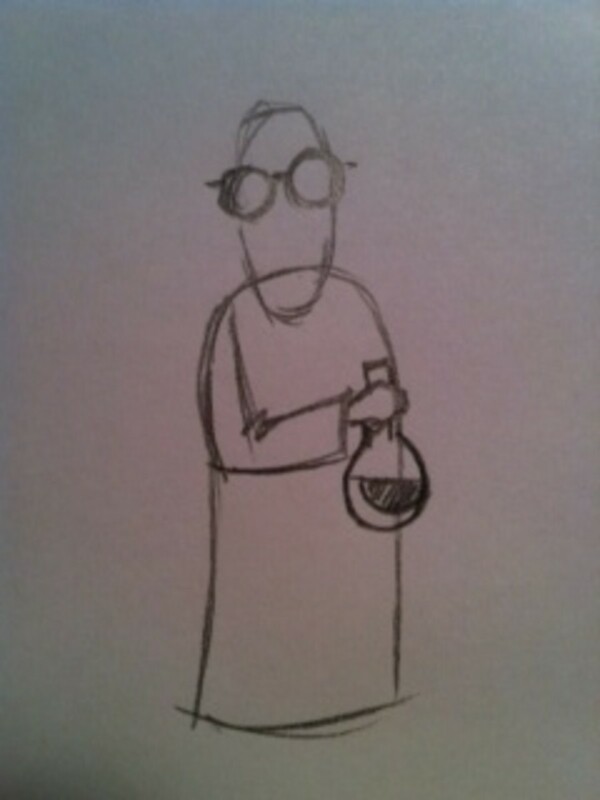 To draw this beaker, just start with a circle for the main shape and then add two lines that go up through his hand as shown. Fill in the bottom of the beaker with some sort of liquid as shown. This is probably the toughest part of the drawing — do this and the rest is going to be easy. 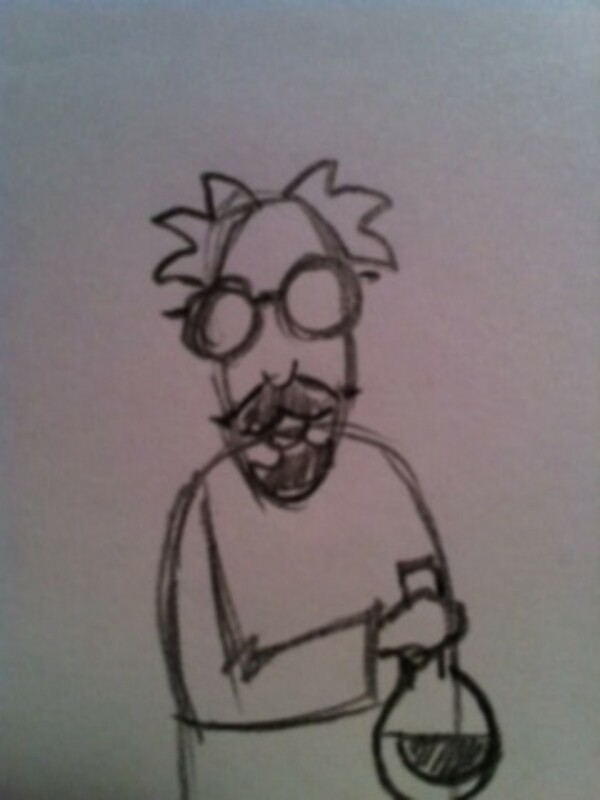 Our scientist has a mustache and goatee, or small beard. To draw these just look at the shapes in this area of the drawing. There are a few curved lines and some crescent shapes. 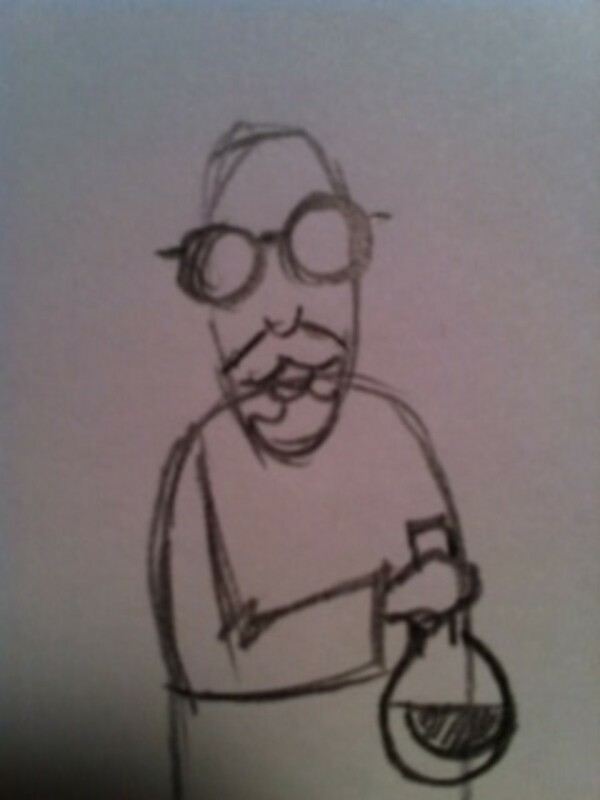 Draw these lines for the mouth, mustache, and beard as shown. Have you ever seen pictures of Albert Einstein? Don't you just love that hair? Let's give our scientist some crazy looking hair. 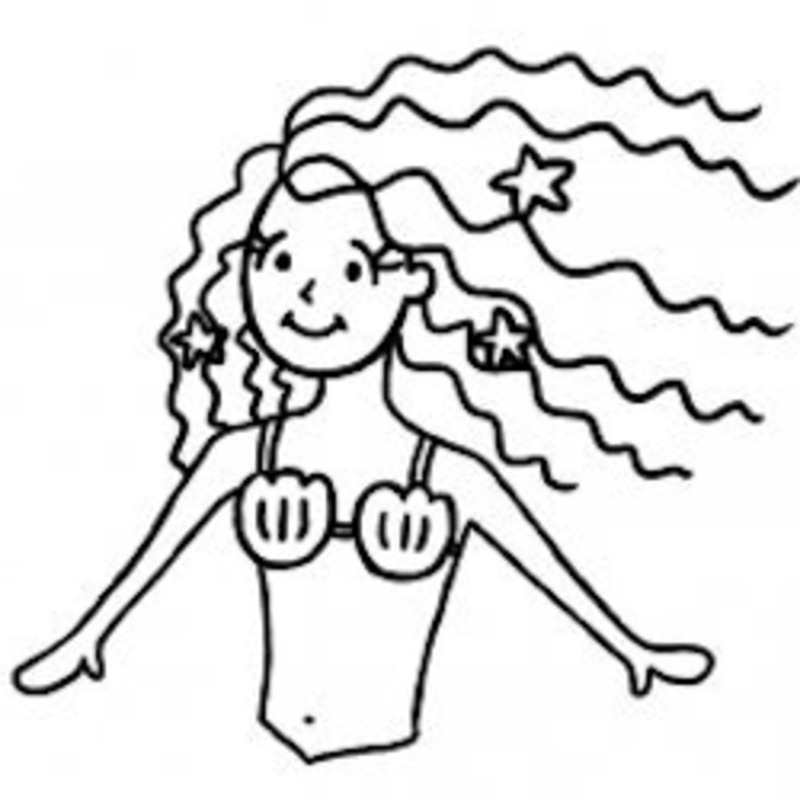 To draw this sort of hair, think drawing the letter "Z." 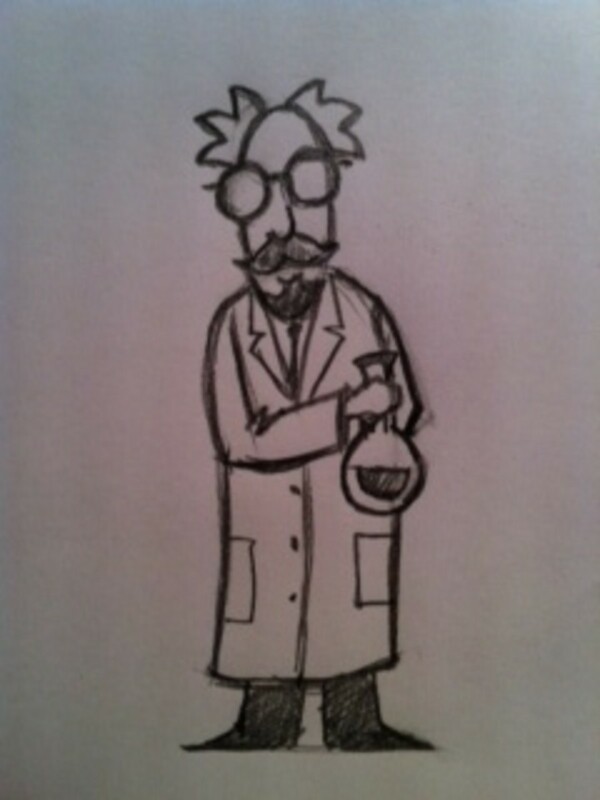 If you look closely, you can see that our scientist's hair is just a few letter "Z's"
I have also shaded the mustache and beard. Every scientist typically wears a white lab coat and ours does, too. 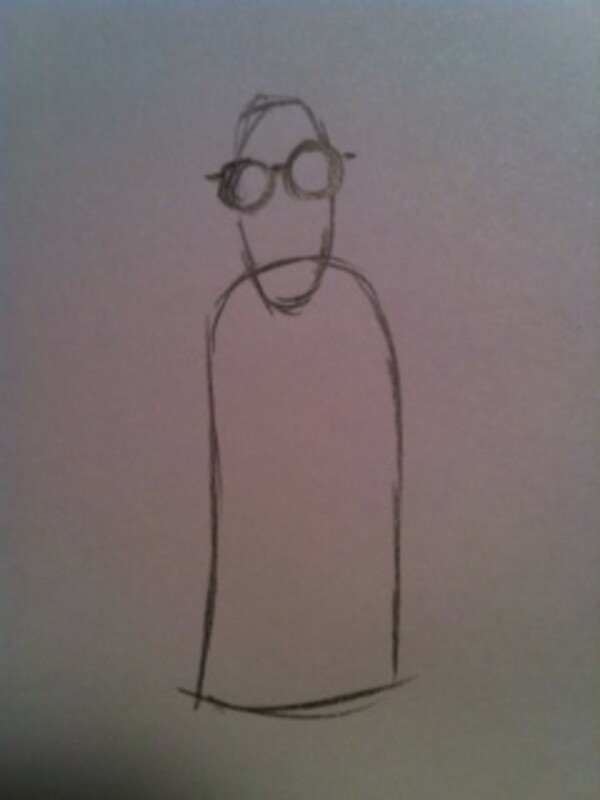 To draw his long lab coat, simply add a "V" shape that runs from either side of his head down to the top edge of his sleeve. Next, draw a single line right down the middle of his body from the lower edge of the sleeve to the bottom edge of his coat. Again, think of his pants and feet as just simple shapes. To draw these, draw two squares just below the bottom of his coat and add a shallow triangle shape to each of the squares on the bottom, outer edge as shown. Shade these in to be a solid, dark black. OK, how does your scientist look so far? For the final step, we're just going to add a few last items. Using the same type of reverse "L" shape, add the other arm. Notice how it is positioned behind him so we don't see his hand. Next add the coat buttons, pockets, a tie and the coat's collar. If you look carefully at my drawing, you can see how to add these. 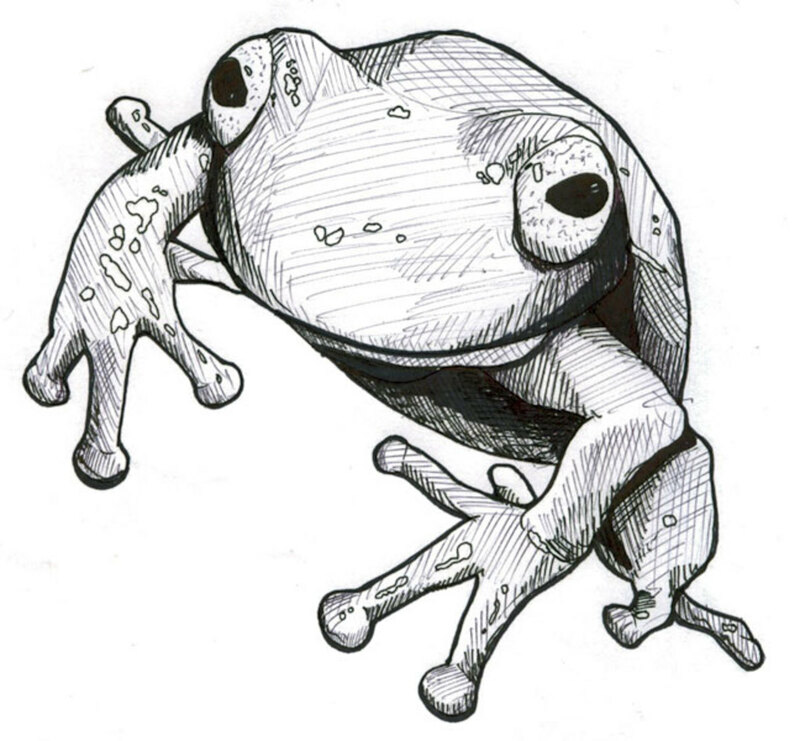 So, step back and take a look at your drawing — how did you do? Remember that drawing takes time and practice to get better. After all, you're training your eyes to see details and training your hands to coordinate with your eyes to execute some very delicate maneuvers. It's OK to get frustrated — I still get frustrated at times and I have been drawing for more than 50 years. The key is to take the energy from that frustration and turn it back into another attempt at drawing better. Keep trying and I guarantee that with each attempt, your drawing will get better. Best of luck with your drawing! 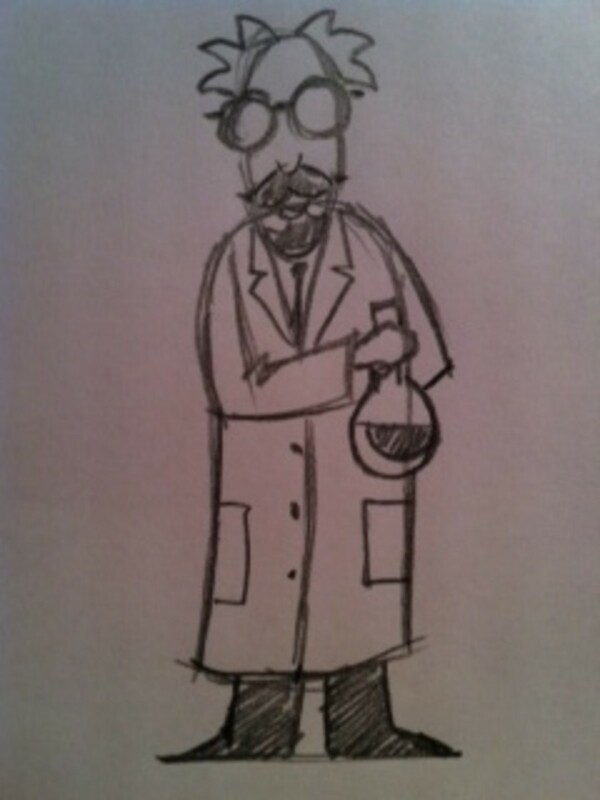 WHat was the most difficult part about drawing a scientist? 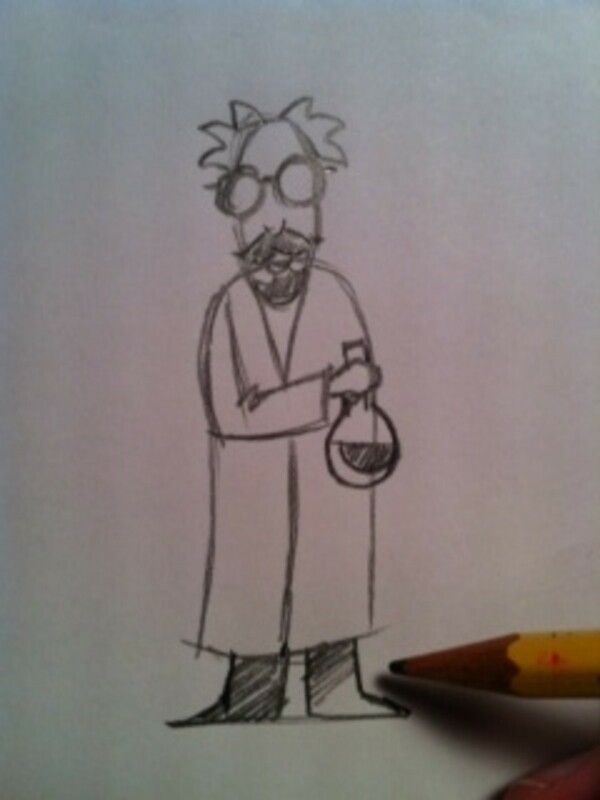 A very easy and creative way to draw a scientist .Thanks for posting such a fabulous thing! This is very helpful for anyone who loves science. Moonlake - thanks for stopping by and for the vote up! About drawing the arm - keep trying, you'll get better! Very neat enjoyed this hub and voted up. 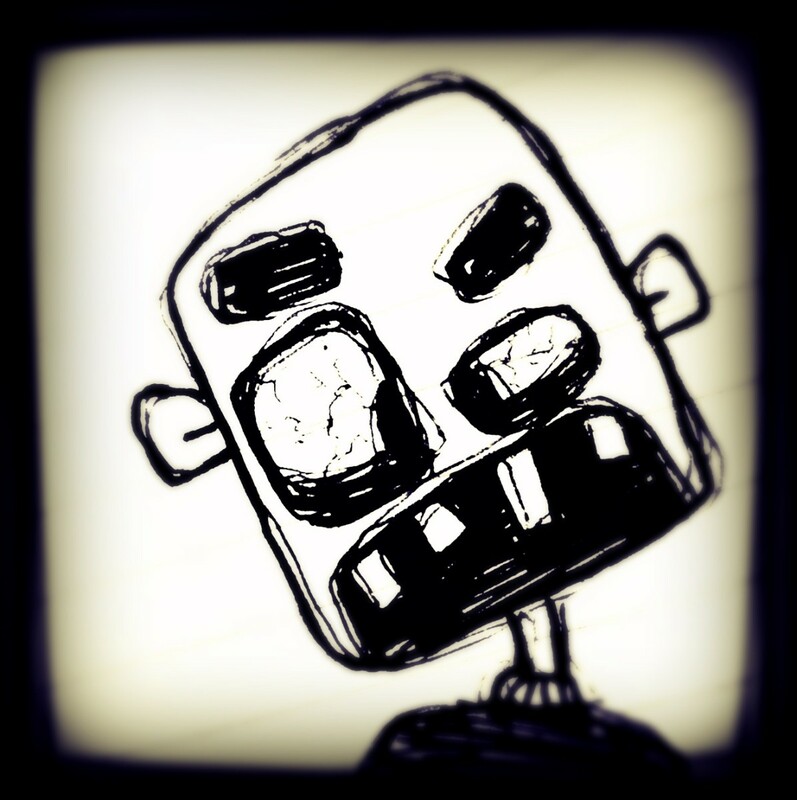 I try drawing this guy but had problems with the arm but that's just me. I'll show my sister she can draw anything.